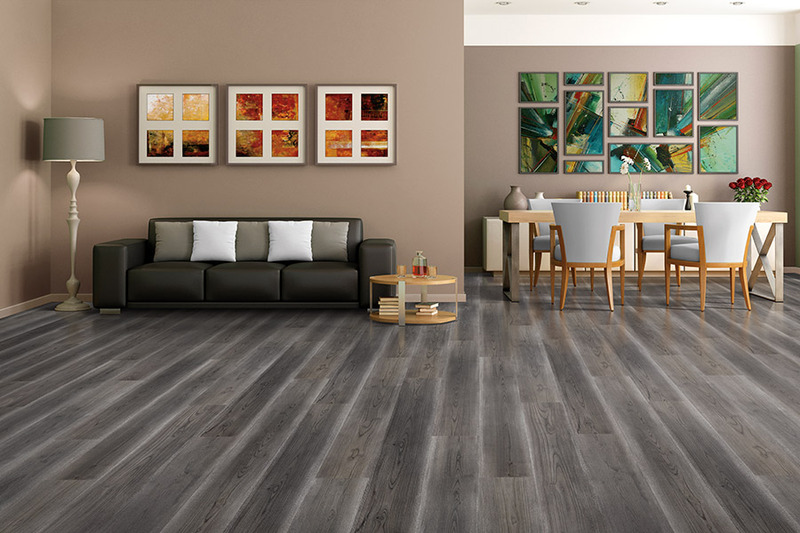 Laminate was the first ever wood-look flooring to hit the market here in America and since then it’s been doing a fine job keeping up with the latest trends. If you’ve ever tried this flooring in your own home, then you already know about some of the amazing benefits it has to offer. If you haven’t, then we think it’s definitely time to stop and give it a second look. You might just find it’s the floor covering you’ve been looking for all along. Randy’s Carpet Plus offers a wide variety of floor coverings that are high quality and fit your needs as well as your preferences. We have a sales staff that is experienced in matching customers with the perfect floor covering for their homes as well. Putting the two together is the best way to make sure you get exactly what you want and need. From our showroom in Conyers, GA, we’ve been serving the areas of Conyers, Covington, Lithonia, Social Circle, and Madison and we’d love to serve you as well. Stop by at your convenience and allow one of our flooring specialists to help you get started. 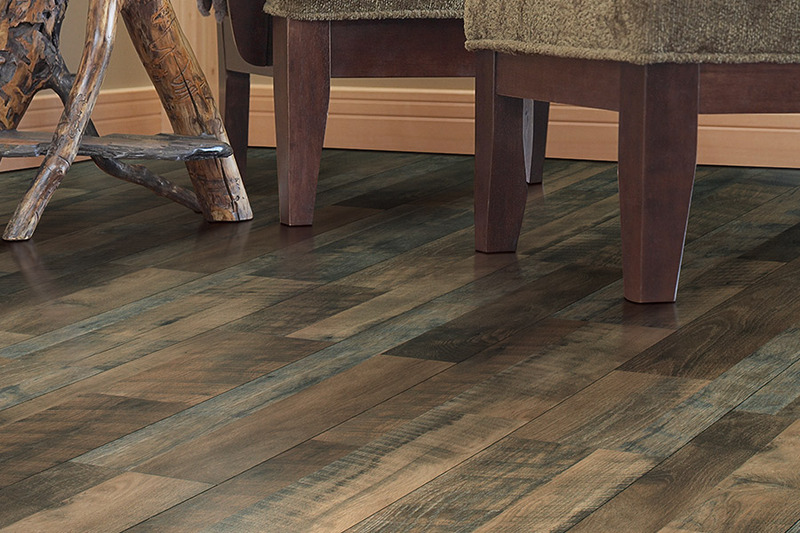 Some of the nicest wood-look floors come from laminate flooring. To keep up with the latest trends, you’ll be amazed at the number of species, stain colors and finish looks you’ll get to choose from. For species, you can choose anything from a pine look, to cherry or walnut with stain colors ranging from the lightest to the darkest. You’ll also be able to choose from the classic glossy finish or a variety of others including hand scraped and vintage. 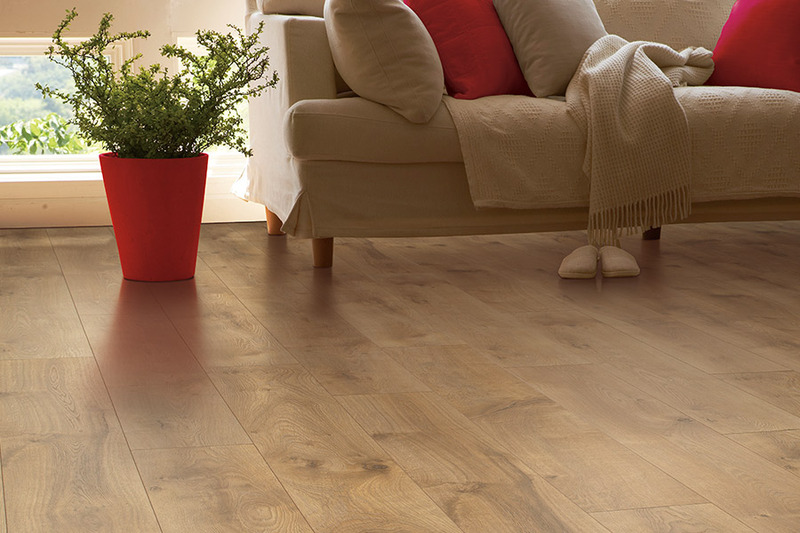 This flooring also offers a bit of resilience for a nicer underfoot feel and even a certain amount of noise reduction, especially if you’re switching from harder surface flooring. 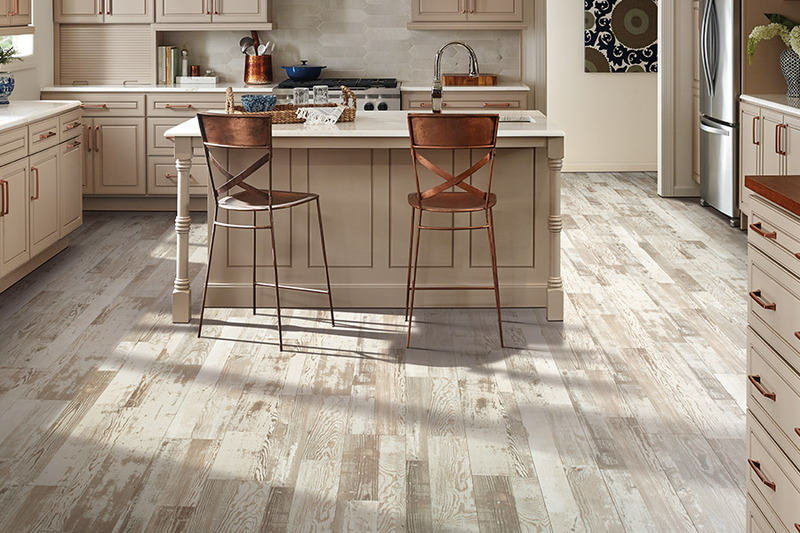 For even more resilience, be sure to ask your flooring specialist about specific underlayments that will go with the flooring you choose. The thicker the underlayment, the softer your step and the more comfortable it will be to stand on too. 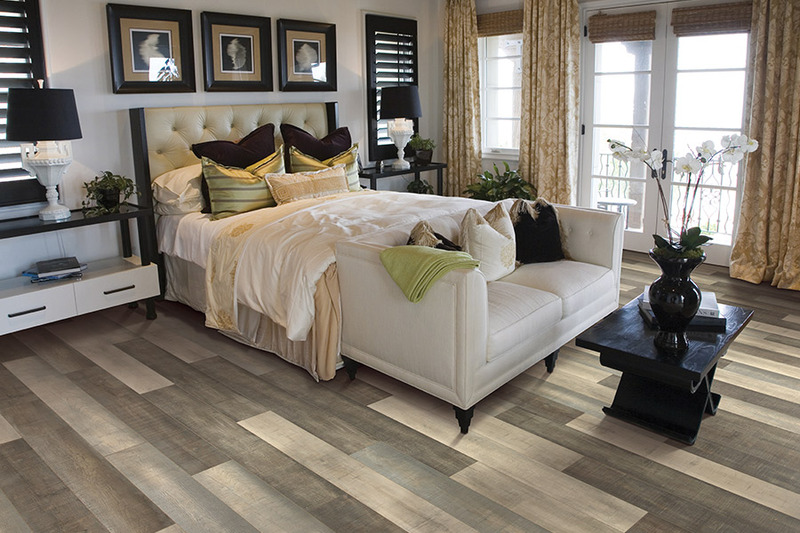 Laminate is often a flooring material that some homeowners turn into a DIY project, as it truly is easy to install in most cases. However, be sure to ask your sales staff about the specific manufacturer you’re choosing. Some manufacturers will not honor their warranty unless professional installers install their product. This is certainly not something you want to find out too late.